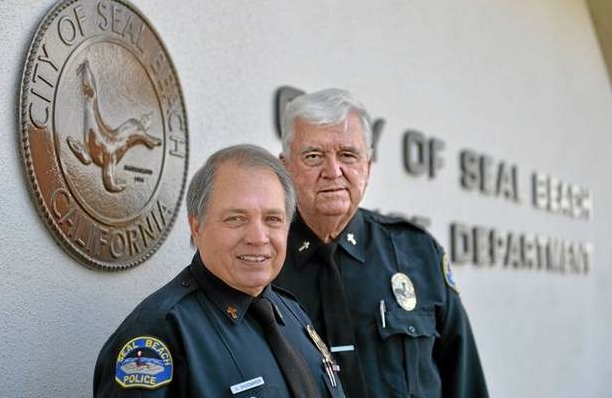 Don Shoemaker, pastor emeritus at Grace Community Church, Seal Beach, Calif., was part of an article in the Long Beach (Calif.) Press-Telegram on May 29, 2014, about the chaplains’ program at the Seal Beach Police Department. We’ve published a portion of it below. Click here to read the complete article. 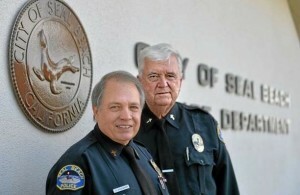 Seal Beach, Calif., Police Chaplains Donald Shoemaker and George Vogel. SEAL BEACH >> The calm of a sunny and brisk Wednesday afternoon was broken when Donald Shoemaker and George Vogel received a call from the Seal Beach Police station. They had received similar calls many times before, but this time it was very different. “I was visiting someone in the hospital in Fountain Valley, when I got a call from police dispatch letting me know there had been multiple murders. And that’s really all I knew,” Shoemaker, pastor emeritus at Grace Community Church in Seal Beach, said. At about the same time, Vogel, who is the chief chaplain at the Long Beach Veteran’s Administration Hospital, received a similar call. Neither really knew what was happening as they rushed toward a small, family-owned Seal Beach salon. “I knew it was big because as I approached I could see all the helicopters, and the streets were blocked off,” Shoemaker said. Both men quickly learned on that Oct. 12 in 2011 that a man, later identified as Scott Dekraai, entered Salon Meritage and opened fire in an attack that lasted only about two minutes but ended with eight people dead. Both Shoemaker and Vogel are part of the Seal Beach Police Department’s Chaplain Corps, a nonsectarian program that provides professional assistance for not only members of the police department but members of the community when dealing with difficult or traumatic situations. For hours, Shoemaker and Vogel counseled arriving family members and friends trying to make sense of the killings, offering people guidance and solace. They continued to provide their help and services over the coming weeks, attending funerals and speaking at memorial services. Shoemaker was even asked to be present at the grand opening of the salon a little more than a year after the massacre. Started in 2001, the program is a way to provide support for members of the community as well as officers and their families in a variety of circumstances. Through his church board, Shoemaker was tasked with finding a way to reach out to the community. Soon after, Shoemaker was introduced to then Capt. John Schaffer and the Chaplain Corps was created.